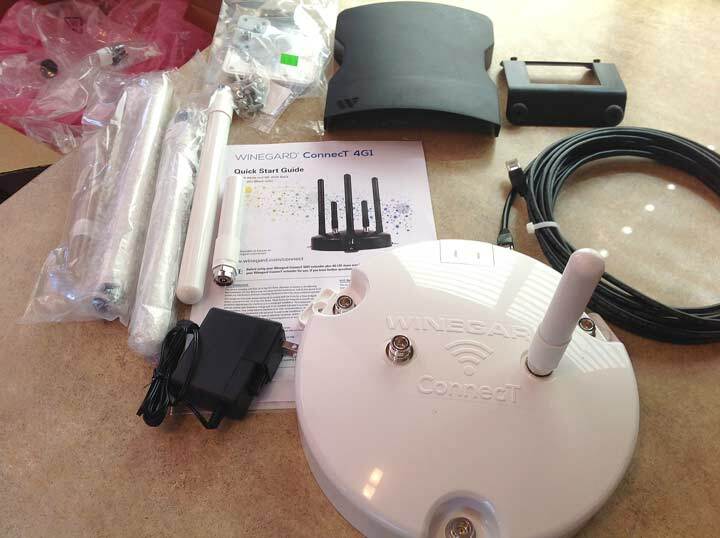 I was excited about the opportunity to review the Winegard ConnecT RV Internet Wifi Extender with 4G connectivity because I am a firm believer that the absolute best internet for RVers is redundancy. It would make a great addition to our arsenal of satellite internet service and Verizon connected devices. 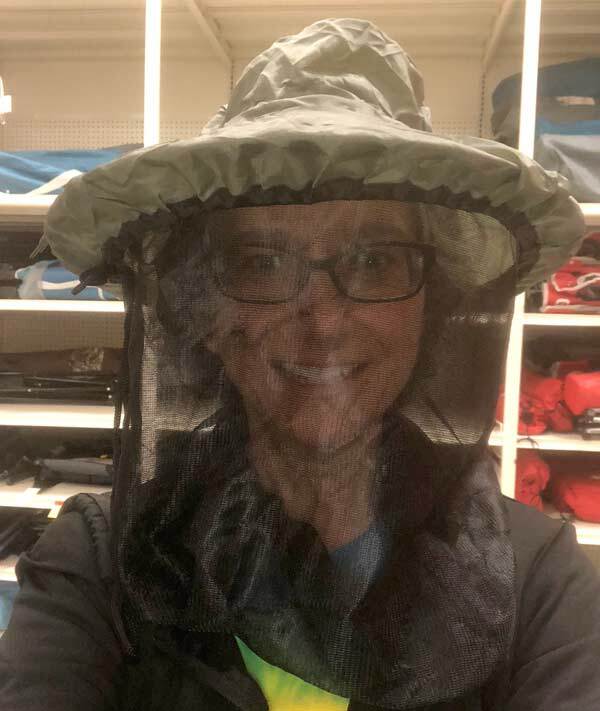 Besides, I am a geek at heart and always enjoy testing the limits of new technology. 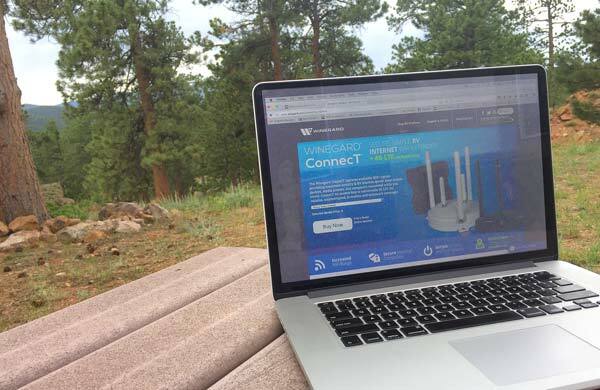 For RVers who depend upon RV Park Wifi to stay connected, and those looking to purchase a mobile broadband hotspot, the Winegard ConnecT is a solution to seriously consider that meets both needs. 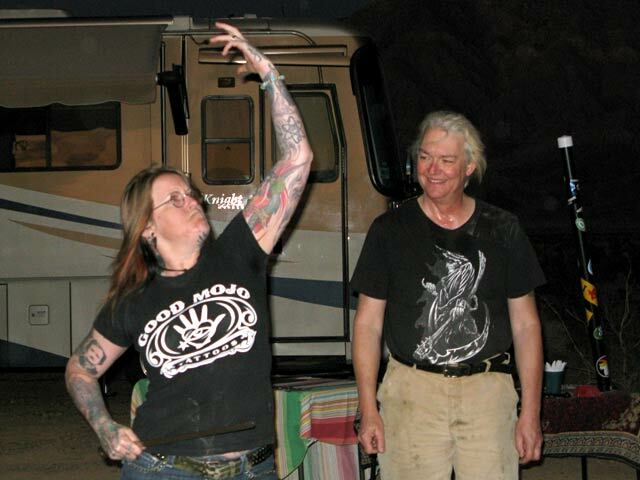 It would also be a valuable addition for anyone wanting to improve their RV internet redundancy. 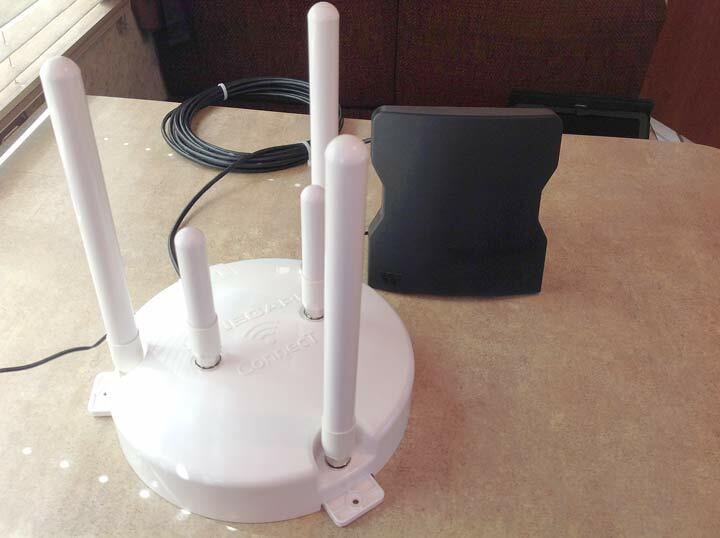 The Winegard ConnecT (WF-3000) is a secure Wifi extender with three high-gain antennas that will boost the signal of any available wireless network. 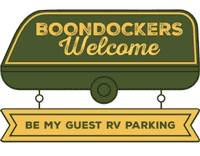 This means you can park further away from the router or antenna at an RV park, and still receive a high quality Wifi signal for connecting to the internet via your computer or mobile devices. The Winegard ConnecT +4G LTE (WF-4000) provides constant connectivity via the local cellular network, in addition to providing the Wifi boost capability. 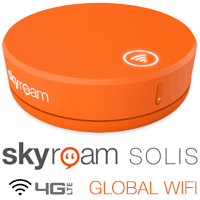 This allows you to get online anytime, when no Wifi network is available, even in transit. Whether it is set to receive a signal from a local Wifi network, or the regional cell phone towers, you can enjoy seamless and secure connectivity via the ConnecT’s powerful Wifi signal. 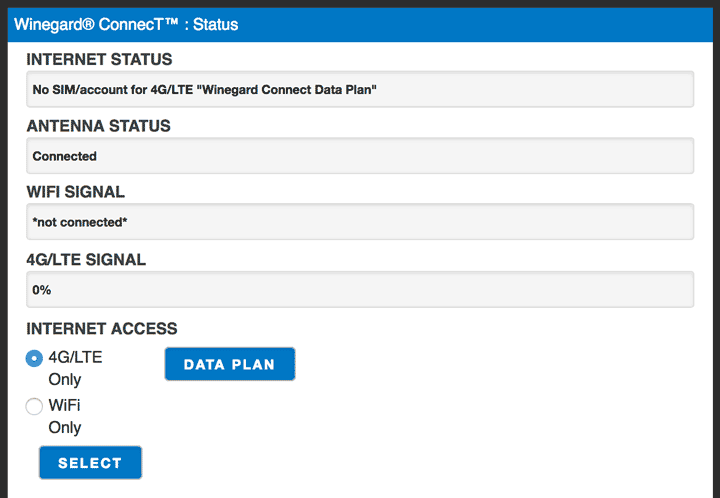 My first impression of the Winegard Connect +4G system was its incredible simplicity. There are basically two components, included with all the necessary mounting hardware and wiring. 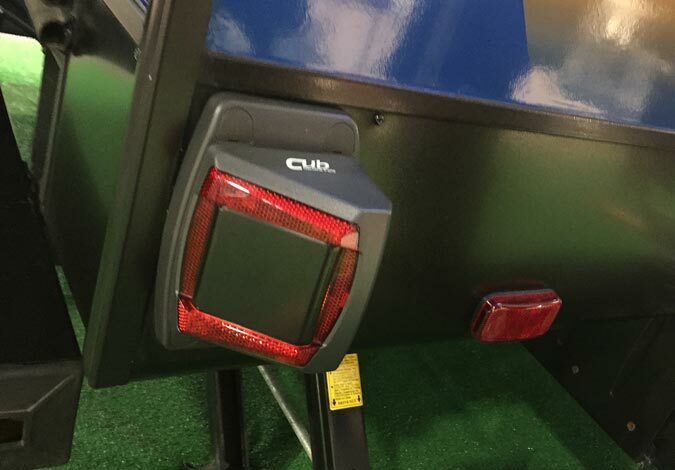 The ConnecT Outdoor Unit (ODU) securely mounts to the roof of your RV. You then connect that via the supplied Ethernet cable down to the Indoor Unit (IDU) inside your rig. Plug in the IDU and you’re done installing the hardware. 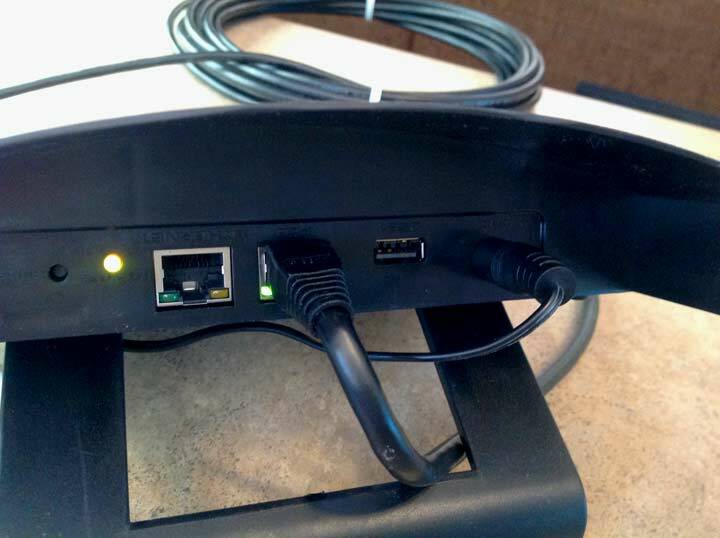 The Winegard ConnecT system uses Power Over Ethernet (POE) technology which means only one cable needs to be run up through the roof. An additional Ethernet port is available for hard-wiring devices to the network. The only downside of the hardware I discovered, is that there are no visible status indicators on the front of the IDU if it is mounted flush to a wall. It does however, fit nicely in the network rack I built, and has an optional stand for countertop use. I also quickly found that no visible indicators were necessary since all you need to know about the system is easily accessible the intuitive interface. Configuring the ConnecT to get online literally took a few seconds. Anyone can do this, and the simple quick start guide makes it easy. 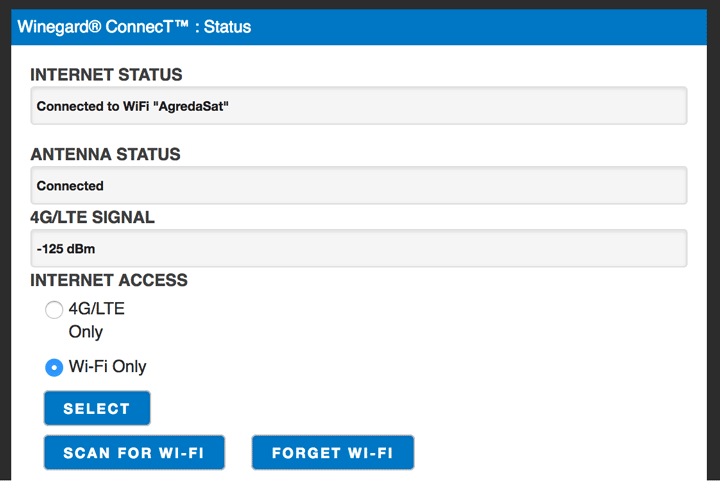 The admin interface can be accessed via any computer or mobile device by connecting to the Winegard ConnecT’s Wifi signal. Select whether you want to connect to—and boost the signal power of—any available Wifi network, or choose to use the 4G network for connectivity. 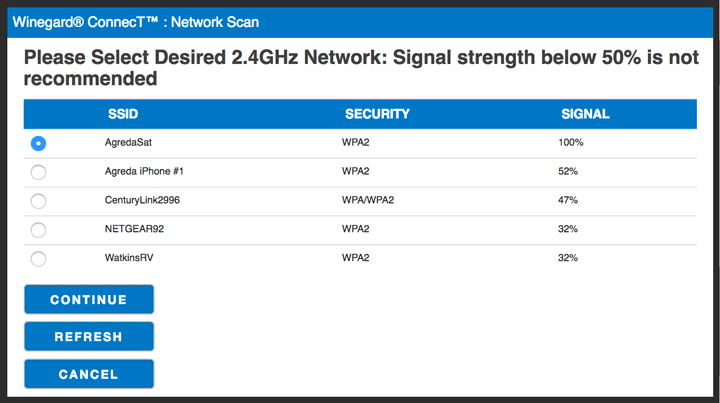 When selecting Wifi, the ConnecT will automatically scan for all available networks and display each one’s signal strength. 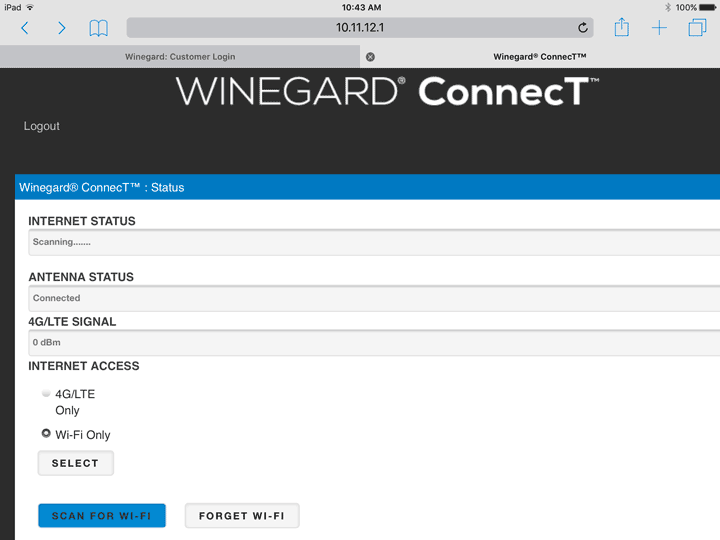 Select the Wifi Network you want to use, and maximize its signal power to your devices by connecting via the Winegard ConnecT. You will need to know the network name and password (if it is secure) to be able to connect. No Wifi? No problem. No 4G data plan? No worries! 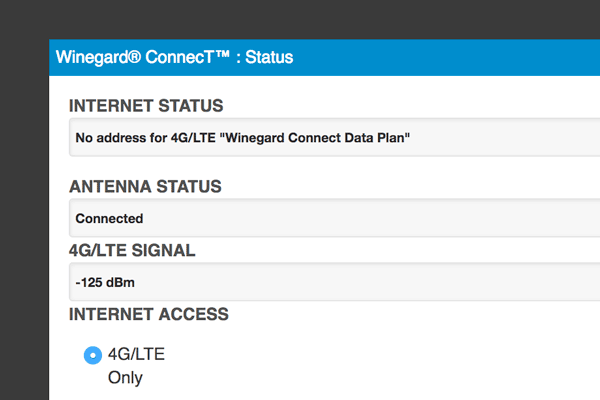 Simply select 4G LTE to use your ConnecT via the Winegard broadband network. In a few simple steps, you can purchase the data plan that meets your needs. A major benefit of using Winegard ConnecT internet access for RVers, is that there are no annual contracts or monthly billing plans—unless you want that. Winegard provides a “pay as you go” service for broadband connectivity. Simply buy the amount of data you want to use that month, and use it whenever you need it. Data plans are available from 1GB to 20GB and priced very competitively. The plans do expire in 30 days from the date of purchase, so be sure to plan accordingly. Or, if you use up all your data, just purchase more anytime. The lack of annual data contract requirements is a big plus for RVers who do not need the broadband connectivity year-round. For instance: Arrive at a workamping job that offers free Wifi, and there is no need to purchase data. Simply use the ConnecT to maximize quality of the Wifi signal at your site. When the park fills up on a big holiday weekend and the network crawls to a halt, purchase some data and get back online at 4G speeds. 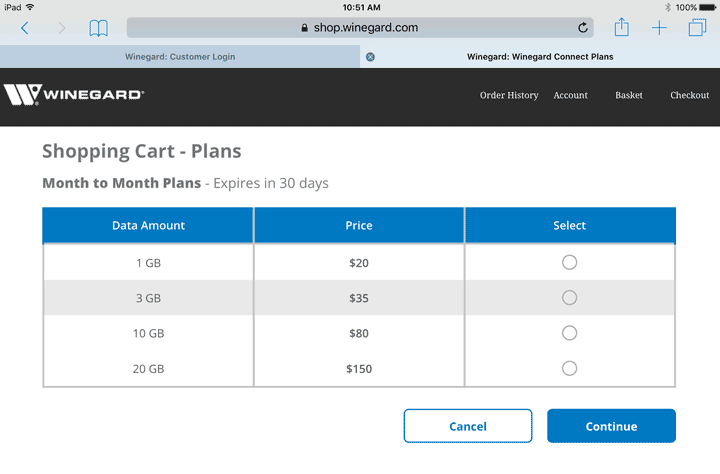 If you prefer monthly data plan billing, Winegard allows you to set that up, and easily terminate the recurring bill whenever you want. 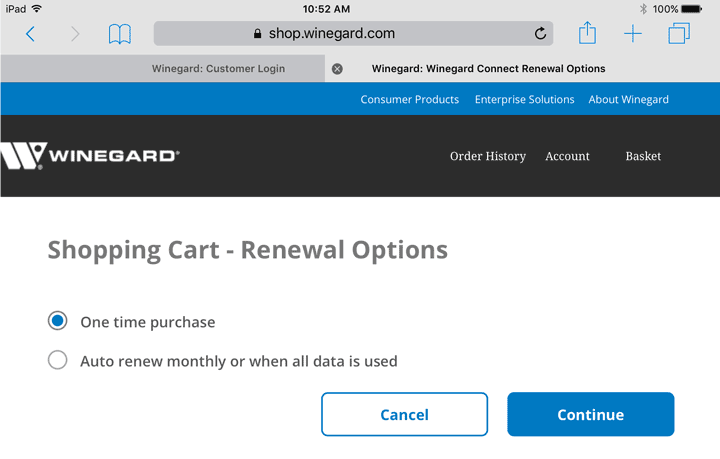 Winegard makes the process for purchasing a data plan very simple, with one major drawback. You must be online to do so. 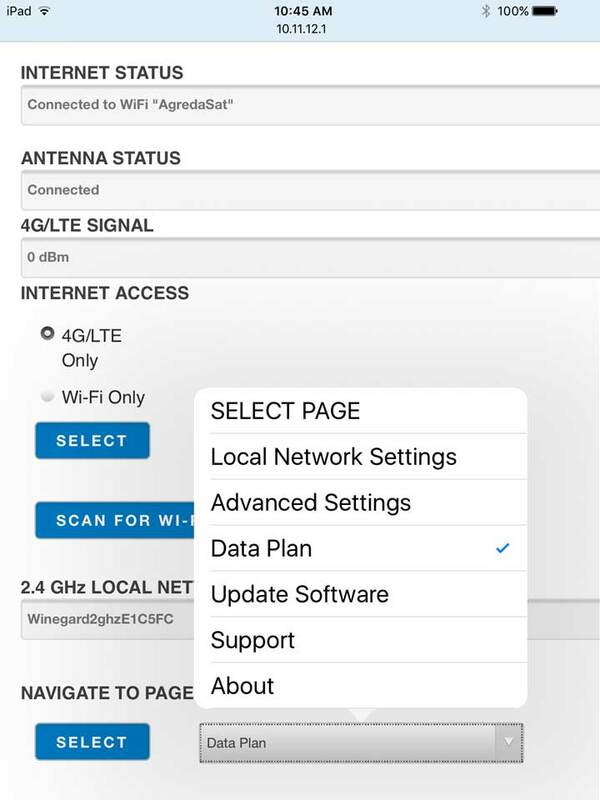 Even if you have 4G access wherever you are parked at the time, you must use a network other than Winegard’s to add data to your ConnecT. If there is no available Wifi network, and you have no other way to get online, you will not be able to purchase a data plan. This could easily be resolved by using your phone or other device to log in to your Winegard account and buy the data you need. 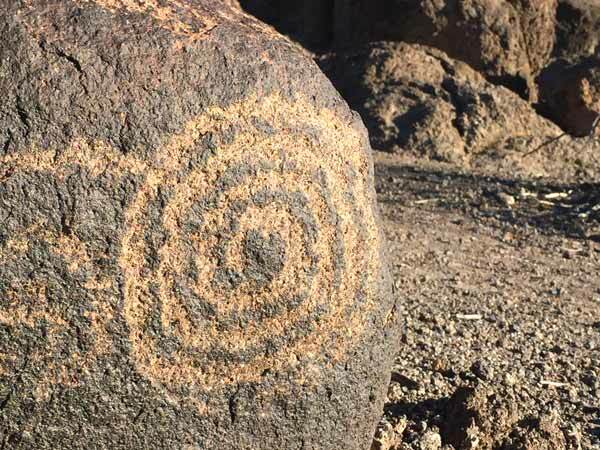 The next time you connect via your ConnecT system, it will be there for you to use. I’m sorry. I am unable to complete a thorough, honest review of the ConnecT +4G LTE RV Internet connectivity solution at this time, for one simple reason. Remember how I mentioned we enjoy staying in remote locations? Well, Winegard uses the AT&T network for cellular service. Here at Jerry’s Acres—located deep in the Rocky Mountains at about 8,500′ elevation in far northern Colorado—the AT&T service is pretty limited. 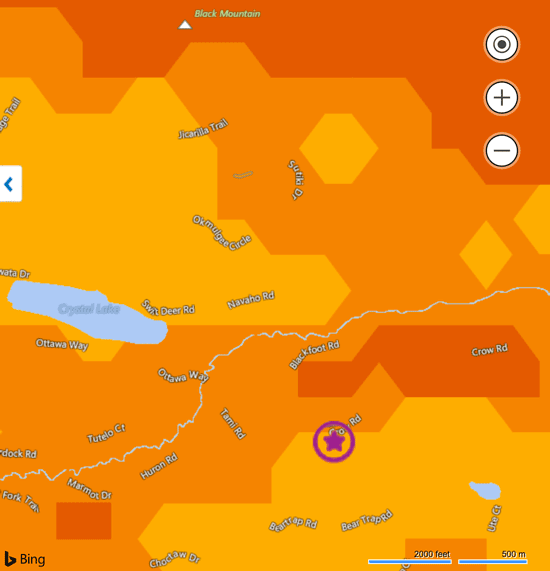 The AT&T wireless coverage map shows we are within their range for 3G data, but apparently that is not enough to allow full use of our ConnecT +4G LTE. The Winegard interface will clearly indicate whether or not you have service at your current location, and the Wifi extender capabilities remain fully functional. UPDATE: Read Part Two of this Review! Hello Jim, I am starting over from scratch…. 2 new cell phones, new RV has Winegard 4gLTE booster on the roof. Is there a package that you know of thru AT&T that would allows us to have unlimited cell phone and data? Thank you! 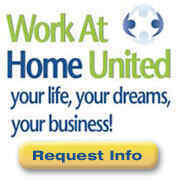 You would need to contact AT&T regarding any unliited plans they may or may not offer, I know Verizon does. Winegard only has the pay as you go plans for the ConnecT, where you buy the bandwidth you need (without any contract) and purchase more whenever you want. 😉 I don’t know about your wife, but Wifi speeds will totally depend on the service provider and amount of traffic. Some parks may have have one DSL line for everybody while other large resorts may have multiple T3 connections.Stay tuned for Part 2 when we’ll be thoroughly testing the ConnecT’s 4G features. FYI: Part 2 of the review is now live, complete with 4G speed test. 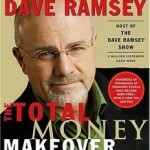 Holy Cow Jim, $750 ?? What is the cost? 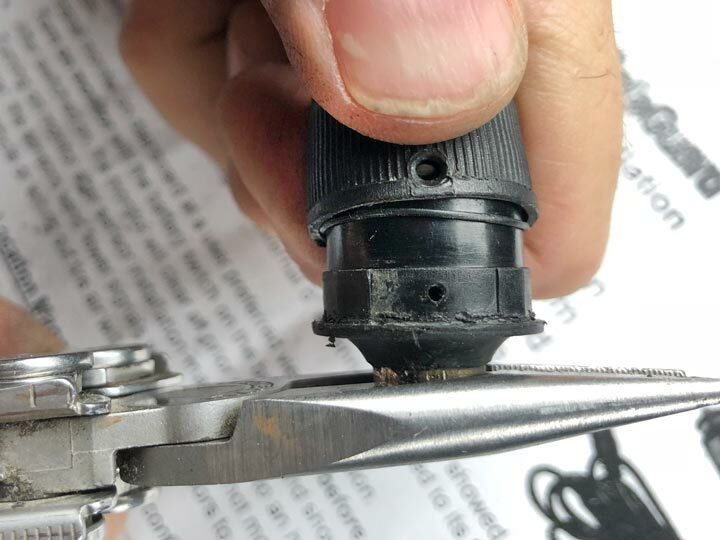 Is installation DIY or something best left to professionals? Can the IDU stay in a media cabinet? What is power supply 12VDC or 120VAC. Prices vary, Mike. That depends on which model you purchase and where you buy. Visit any of the ConnecT links for complete details, product specs and pricing. In my opinion, installation is pretty simple. Anyone comfortable with drilling a hole in their roof can do it. Yes, the IDU could be kept in a cabinet, just like any other router. The power supply is 120VAC and will work fine on inverter supplied power whenever necessary. How about $20 a month for the ATT Connected Car Plan? A little more research might help. There is no point in comparing apples and oranges. To say that the Winegard Connect rates are affordable is absurd!!! Affordable is relative Craig, as is “absurd”. Compared to other mobile broadband data plans out there with no monthly contract requirements, of which there are very few, the ConnecT plans are very cost competitive, which makes them affordable in terms of what is available in that market space for those who want or need it.